Find C++ Tutorials Created using Microsoft Visual Stdio Express Edition. Download Sample Code for C++ and Create your own Projects. Join a Visual C++ Course and move ahead from your understanding of C++ onto Windows Application Development with Visual C++. The Visual C++ Course offered here is provided by Professional Visual C++ Developer and has been carefully designed to start from basics and then move forward to advanced topics of Visual C++. This Course is for anybody who already knows C++ well and is comfortable with Microsoft Windows. Whether you want to learn Visual C++ with latest Integrated Development Environment which is Visual Studio 2013 or an older version of Visual Studio Professional 6.0, you can join this Visual C++ Course and learn all the programming involved. Learning Visual C++ from Books can be really expensive taking into considerations the time and efforts required to grasp the concepts of Visual C++. This Visual C++ Course is designed and provided by a professional Visual C++ Trainer who is an active Software Developer. Visual C++ is really powerful programming environment and with tools and classed provided by Microsoft in MFC (Microsoft Foundation Classes), you can develop any type of binary application that runs of Microsoft Windows. Yes this course teaches you how to develop Command Line Applications, Graphical User Interface Applications, Dynamic Library Files , Screensavers and even COM Objects which can be easily used by other Programming Languages like Visual Basic .NET, Visual C# etc. Although Apps for Windows 8 / Windows 8.1, Device Drivers for Windows can be created with Visual C++, however they are not covered in this Visual C++ Course and only Desktop Application Programming is taught in this Visual C++ Course. 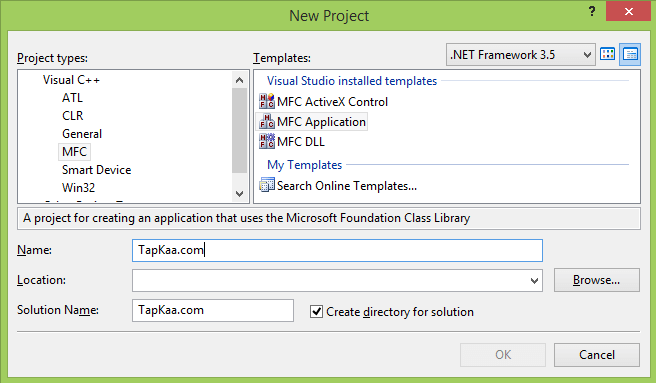 Visual C++ can be used to develop applications by utilizing Native Win32 API or with the help of Microsoft Foundation Classes or even other 3rd party Libraries. 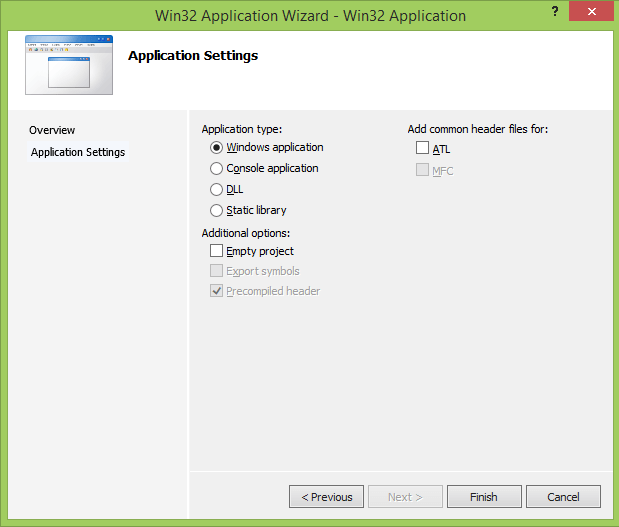 Application developed with Native Win 32 API use less system resources and can even be run on Linux or Mac OS X with the help of Cross Platform Environments like Wine, etc. 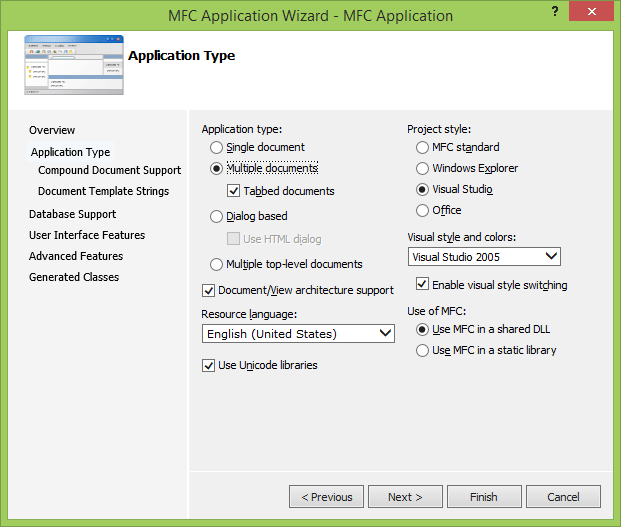 Yes you can even develop and deploy applications developed with Visual C++ and MFC on Linux and Mac OS X, however they require comparatively more efforts in terms of time and efforts required. This Visual C++ Course starts with introduction to Win 32 API and teaches you how you can use Dependency Walker and other tools to fully understand how Applications work on Microsoft Windows. Once you have learnt how Win 32 Applications can be developed with the help of Visual C++, the course proceeds ahead and imparts you training about MFC Classes. Lots of Microsoft Foundation classes are covered including CString, CObject, CWnd, CButton, CEdit, CApplication, CPaint, CSocket and lots more. During this Visual C++ Course, you will be developing lots of Dialog based and Document – View based Application in Visual C++. Yes developing Screensavers and Control Panel Applets is also covered in this Visual C++ Course. During this Visual C++ Course, you will learn how to use Microsoft Visual Studio Integrated Development environment to Code, Debug and deploy Applications developed with Visual C++ onto other 32 bit and 64 bit Computers. Yes sample applications developed with Win 32 API will also be deployed to Linux and Mac OS X so as to teach you the versatility of this powerful programming environment. An introduction to usefulness of Code Signing Certificate is also covered in this Visual C++ Course so that you do understand how to redistribute your applications developed. MFC Code Browsing, Resource Editing, Handling Windows Registry, Finding and Fixing Memory Leaks, Optimizing Windows Application, Creating COM Objects and using them with other Programming Languages, Understanding Static Linking / Dynamic Linking of Dll Files, Using Spy++ to understand how Graphical User Interface of Applications is handled by Windows, Understanding of Message Maps, Database Programming , Network Programming and lots of other Concepts are taught in this Visual C++ Course. Yes you must have good knowledge of C++ in order to join this Visual C++ Course. You must understand concepts of Classes, Public, Private and Protected modifiers, understand keywords of C++, using functions / classes, etc so that you can quickly and easily learn Windows Application Development with Visual C++. 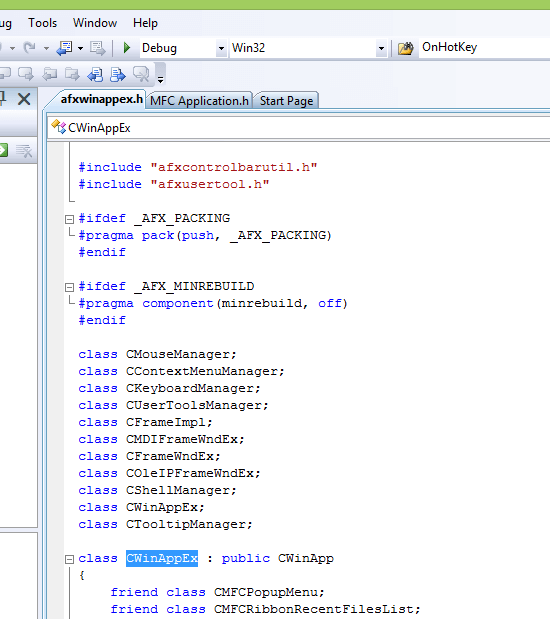 What Dll Files are required to run an Application Developed with Visual C++ ? Custom Software Development Services for Windows, Linux, Macintosh and Android Applications.